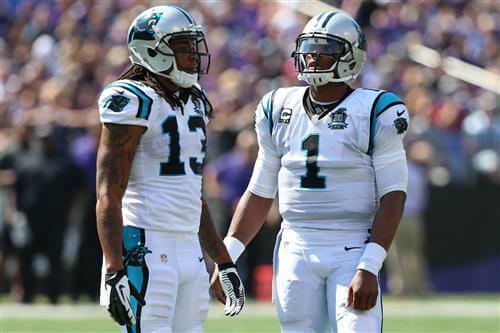 Buffalo Bills wide receiver Kelvin Benjamin downplayed what appeared to be a contentious pregame conversation with Cam Newton of the Carolina Panthers after the teams’ preseason contest Thursday night, days after Benjamin made disparaging comments about his former quarterback. “I wasn’t even trying to listen,” Benjamin said. Benjamin told The Athletic that he would have been more successful early in his career had he played with “any other accurate quarterback.” Benjamin, who played for the Panthers from 2014 until a midseason trade last year, didn’t mention Newton by name, but the implication was clear. Benjamin told reporters multiple times after Thursday’s game that he was “moving on from it.” Newton didn’t appear ready to let it go, however.